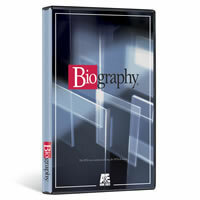 SIEGFRIED AND ROY BIOGRAPHY DVD LIMITED SUPPLY! 100'S OF DVDS FROM STOCK! PLEASE CONTACT US TO SEE WHAT WE ALREADY HAVE! The spectator is given a deck of cards. Magician turns his back to him and tells him to cut the deck to any card he wants and peek at it. After spectator peeks at card, magician tells him the card he peeked at without asking any questions or touching the deck. It's as if he saw it while his back was turned. Uses no svengali, no assistance, no mirrors. Deck can be examined before and after. Back is turned to spectator immediately after handing him the deck and while he peeks at the card. Includes a wide variety of methods to suit different performing situations. No gimmicks or special devices required. Multiple presentational ideas described in detail. Features a system that gives you instant access to almost any modern cell phone. Note: Phoneomenon is a situational effect that may require audience management skills. Effect developed by Charlie Justice. you borrow a normal beer or soda bottle from someone�anybody�at a bar, restaurant, party, or whatever. You grab a couple caps off the bar and give them to the participants to examine; one that will end up inside the bottle and one to cap the bottle with to keep the bottle secured. You hold the bottle in your hand, snap the cap on the bottom once, twice, and bang! It is inside. You immediately hand the bottle back to the person you were working with to be examined; you are totally and unequivocally clean. Believe it. It is that quick. Lighting fast. Prohibition can be done totally impromptu, completely surrounded, and it is totally visual! Seriously, watch the demo and see if you can catch it; they sure won't. They'll just sit there and look at you with their mouths wide open�totally "gob smacked" as the Scots say. "If you like wonderful, startling magic done with borrowed articles that looks super clean, Prohibition is for you! A bent cap penetrates the bottom of a capped beer bottle in a striking, visual way and everything is immediately handed out for examination. There is nothing to find! This video not only gives you every performing detail, but a scad of other ideas as well. I love doing it in the spectator's hands! Nothing is left to chance. Finally, you can watch Prohibition being performed live to see the kind of reactions it really gets. I highly - very highly - recommend this effect!" A spectacular nightmare from the demented mind of Sean Fields! The performer unravels a length of thread. He then immediately, and VISIBLY, begins to SAW the thread straight into his throat! The spectators can actually see the thread deep under the performer's flesh, from ANY ANGLE! Now for the REALLY disturbing part; the performer begins to pull the thread back through his throat! This is grotesque; the spectator can actually SEE the thread tearing through the skin! Full instructions are also given, as to how you can place a Polo mint in your mouth, "Saw" through your Throat/neck with the thread, then you PULL the thread forward from your throat, & the POLO MINT IS NOW THREADED ON THE THREAD!!! Also contained is another idea where you "Eat" the thread & then PULL IT OUT OF YOUR THROAT! Or Belly Button, as David Blaine did! PERMANENTLY LINK ANYONE�S LACES! NO GIMMICKS! NO PREPARATION! Their partnership started when Roy smuggled a pet cheetah aboard the ocean liner where he and Siegfried worked. It may have ended on October 3, 2003, when their legendary Vegas spectacle ended with a shocking attack by one of Roy's beloved white tigers. Siegfried And Roy have enjoyed one of the most enduring and popular partnerships in show business. Their unique act, combining magic and wild animals--especially the endangered white tiger--is credited with having transformed Las Vegas from Sin City into a family entertainment destination. But the Vegas they helped build may now be moving on, and the headline-grabbing attack on Roy may speed the trip. From their childhoods in Germany during the war and the chance meeting that launched a lifetime of magic to Roy's recovery, BIOGRAPHY� profiles every step of Siegfried & Roy's remarkable journey to stardom. This is the very latest Dvd, containing fascinating UNSEEN footage, a MUST HAVE for any Siegfried & Roy fan. Also contains excerpts from the Vegas Show! A Card is selected by a spectator (can be a totally FREE choice!) from a red backed Bicycle deck. The card is signed RIGHT ACROSS THE FACE by the spectator. The magician signs across the back. The card is then sandwiched between two BLUE BACKED Jacks (The "Security Guards") The magician explains that he is going to make the spectators signed card escape from the "Security Guards" & end up back in the pack on the table! but to do this he will need to cover the cards with a handkerchief, because the escape can only be done under the cover of darkness! The magician then apparently removes from under the hanky "Invisibly" the signed card, makes a throwing gesture with it towards the pack on the table, "The signed card is now back in the pack on the table!" claims the magician who continues: "The most difficult part of the trick however is to get the signed card back between the two security guards again before they loose their jobs!". The magician makes another throwing gesture towards the two Jacks. He then spreads the cards to show that indeed the signed selection has returned! (Audience are unimpressed at this point!) "I'm really going to do it this time" claims the magician, who once again makes a throwing gesture towards the cards on the table, sure enough when he spreads the two Jacks, THE SIGNED CARD HAS VANISHED! "The card may be gone, but NOT FORGOTTEN" claims the magician, as he (or a spectator!) spreads the pack on the table, in the middle of the pack, is the SPECTATORS FREELY CHOSEN SIGNED CARD!! COMES COMPLETE WITH BICYCLE PACK & GIMMICK, PLUS FULL ROUTINE/INSTRUCTIONS+ NOW WITH A DVD! VERY EASY TO DO! GREAT FOR THE AMATEUR OR PROFESSIONAL! "Wow what a fantastic routine"
Andy Nyman (Advisor to Derren Brown!) who purchased the effect from us! A card is shown face down in a vinyl wallet, & placed to one side. The spectator is shown a quantity of other symbol cards that have been cut in half. The half cards are mixed up face down, as directed by the spectator. The idea is that the spectator should try to pair up the half cut cards so that they match, with the cards FACE DOWN. If the spectator is psychic he should match the cards no problem! but do they? ... No they don't!! in fact they get them all wrong!!!! "No problem" says the magician as he passes over a "Magic Crystal" to the spectator, "If you believe in the POWER OF THE CRYSTAL, the crystal will guide you", & SO IT DOES! the spectator successfully matches all the cards!! The crystal is taken back by the magician, removing the "Power" from the spectator. The cards are again mixed face down, without looking at the faces, the magician pushes one half card forward (without looking at the face!) & the spectator also pushes a card forward without looking at the face (FREE CHOICE! ), WILL THE two half cards MATCH? The magician explains that because he now has the crystal, he will get it right, but the spectator will get it wrong. The spectator believes that if the magician gets it right, then they also will get it right, WRONG! the magician will get it right because HE has the POWER OF THE CRYSTAL! the two half cards are turned face up THEY DO NOT MATCH, so how everyone will think did the magician get it right? "Because at the beginning of the experiment" explains the magician, "I placed a single full sized card in a vinyl wallet to one side, this card MATCHES the final outcome, because I had the POWER OF THE CRYSTAL! when the card that has been on the table RIGHT FROM THE START OF THE TRICK! is turned face up, it is seen to be HALF of the spectators FREELY CHOSEN card & half of the magicians! a sort of "Hybrid" card. AMAZING!! Comes complete with all you need to perform this effect straight away! CRYSTAL - LAMINATED CARDS - VELVET OR SATIN BAG + Mike Danata's full routine & probably the best set of printed instructions ever! & now with a FANTASTIC NEW DVD teaching you all you need to know! NO SLEIGHT OF HAND! Entire trick can be reset in seconds�. No sleight of hand required for either effect�. No rough or smooth cards�. Film resets instantly�. This is not a printing trick or optical illusion, the film actually captures an image that will remain until magician resets�. No switching of any kind�. And amazingly, this technologically advanced set can be added to any ordinary deck at a moments notice! ONCE YOU PERFORM CARD ATTACK, THERE'S NO GOING BACK! Ring in Nest of Dolls - Backstage with the Magician - The Magic Toy Box - Silk to Flashlight - The Bending Mirror and Tubes of Kioma. Running Time: approx. 45 mins. This Dvd will teach how "Adult tricks" can be adapted for children, some really great routines!! A spectator takes the deck and makes a freely chosen card appear inside a wallet held by another person the entire time. No palming, no skill! Put Pocket - A chosen card vanishes and then re-appears inside a person's pocket. A sneaky and devilish technique that will freak your audience out. Just watch the reactions that Harry gets! Harry's practical routine for the pen thru banknote utilising a bold and cunning switch. Harry's superb handling for the standard brainwave deck. Two freely selected cards jump places in the spectator's hands! An easy-to-do card in wallet routine using Harry's specially designed wallet, which makes this effect easier than ever before! A freely selected card is chosen and signed. The card is then ripped into four, only to restore inside the deck, with a ripped corner matching the restored card exactly. Incredible! Harry's superb handling of this classic trick. From a completely shuffled deck, the spectator simply looks at a card, only for the thought of card to appear in an impossible location. This one will blow their minds! Listen to Harry as he tells you the real secrets to performing at corporate events. How to approach a table, getting your fee, dealing with the client, your arrival, safe prop storage and working with other magicians! Funny stories that have happened to Harry over the years. If it can happen to him... it could happen to you! Learn Over 18 Different Moves! If you are really SERIOUS about learning the Dancing Cane, this HAS to be the best DVD to date on the subject! GET THIS DVD NOW!! The first three volumes took the magic world by storm. Consistently classic effects, broadcast quality filming and editing, free bonus effects which include the props and teaching that is clear, concise and effective made Michael Ammar's Easy to Master Card Miracles the best-selling series ever in magic�and now they're available on DVD! Never before have the inner workings of dove magic been rendered on DVD, but now you can enjoy front row seats to an astounding act, complete with explanations of production methods. OUT NOW! A brand new multi region magic documentary looking at the world of magic and illusion! Paul Squires presents in his own inimitable style his take on magic in the UK. A fantastic and entertaining film ... This has to be one of the most original and amusing magic DVD's you'll see this year! From Blackpool to Bournemouth - and back again - you'll see tips and hear advice from some of the finest names in magic. Plus see impromptu effects , hilarious antics, and good solid advice from the countries finest performers. If you are into magic...you'll have a ball watching this original and entertaining DVD. Plus - the DVD also features unseen clips , a special featurette, and a hilarious Commentary. Watch the film with commentary option 'on' and hear the film maker and two non magicians discuss the merits of everything from fruit throwing to bad magic. It's apparent that not everyone likes Card Tricks. An often illuminating and hilarious alcohol soaked extra. This dvd includes a live performance of Whit�s award-winning routine, and instruction that includes all the moves, patter, and presentational tips that make it easy to add this masterpiece to your repertoire. Along with an introduction by Earl Nelson, and Billy McComb's interview with Whit, this dvd includes twenty minutes of video clips from Whit's performances over the last twenty years on cruise ships, at the Magic Castle and at Magic Island, and on large theater stages. These clips illustrate how to handle various types of spectator volunteers, and various reactions and comments from the volunteer. This routine, originally developed for Whit's street magic act in the 1960's, is considered by most experts to be the most commercial version of the linking rings available for any venue. Dai Vernon claimed that this routine had "the first completely new comedy premise I have seen in magic in thirty years." "If you don't have a linking ring routine and you want to add one to your stand-up repertoire, Whit Haydn's Comedy 4 Ring Routine is the place to start. Ring routines don't get much better than this." Bills & Bowls: It�s the classic Benson bowl routine done with borrowed bills and a sugar bowl. Like Bill Matrix, the routine was designed to get money on the table. I treasure the times that I have spent with him and can�t wait to have him on my television anytime I want." Thompson�s Aces: As an opener for a card routine, this in the hands, ace production would be hard to beat. From a shuffled deck, you will produce the four aces, one at a time, while cutting the cards. Combine this production sequence with "Christopher�s Red and Black Aces" (Daley�s Last Trick) and you will have an easy to follow routine that does not require the spectator to take a card. Ropes: A rope routine that runs the gamut from C & R rope to Professor�s Nightmare to a 3 to 1 restoration. A complete act on it�s own. This instructional video teaches you how to visually push a real coin through the bottom of a real glass bottle, leaving it inside. They watch it melt through the bottle's bottom, leaving your hand and falling into the bottle. They don't see it just "appear" in the bottle, they watch it melt through. The bottle is then handed to spectator for inspection and to keep. When Garrett Thomas introduced THE RING THING at the famous FFFF invitation-only close-up magic convention, some of the top close-up magicians in the world were asking to see it over and over again. Luminaries such as David Blaine, Jeff McBride, Gregory Wilson and many others have asked Garrett to teach them this fabulous impromptu routine. Why? Because it looks like real magic! And now, every detail of THE RING THING can be yours� Garrett Thomas has held nothing back. THE RING THING looks like trick photography . . . but it�s not! It�s a quick, visual, impromptu miracle that you can do right before their eyes. You pull off your finger ring, toss it back towards your other hand . . . and it visibly appears back on your finger! Garrett doesn�t just stop at teaching THE RING THING. This DVD is a post-graduate course in finger ring magic. Of course, effects that can be performed at a moment�s notice and with no preparation are some of the most valuable tricks to know and finger rings are everyday objects that are always available. Imagine visibly taking a ring on and off right through your finger! Imagine visibly changing a coin into a ring and then back into a coin again! Imagine causing an invisible ring to really become visible! All of this . . . and much more . . . are revealed in Garrett Thomas� THE RING THING! 2 Copper�1 Silver: A copper, silver, brass coin routine where the three different coins accomplish impossible transpositions from hand to hand. This long-awaited 95-minute DVD finally reveals Joe Mogar's lifetime of knowledge on the development and performance of the Color Changing Knives! A near-encyclopedic work, it contains 37 moves and 12 routines, including Mogar's Stag Sensation, Miracle Plus Routine, Basic 3 Knives, Hot Rod Knife, Multiple Knife Productions, Jumbo Knife Routine, Knife Routines with Handkerchiefs, and more! You'll learn the 7 essential moves, 13 color-changes, 4 vanishing-knife moves, 7 switches, and 6 miscellaneous techniques, not to mention Joe's professional applications for the Pocket Pal (a very practical utility device). Among the many moves included are The Master Twist, the Flip, the Twirl and Shake Change, The Mogar Snap Vanish, the Color Push Change, the Two-Knife Switch, and the Smash Climax. In addition, to make learning these techniques easier, an over-the-shoulder camera view was used for all the explanations! This Camirand Academy DVD will teach you everything you need to know to practice, perform, and truly entertain an audience with one of close-up magic's most enduring miracles - the Color Changing Knives! Jeff McBride, voted "Magician of the Year" by Hollywood's famed Magic Castle and The Academy of Magical Arts is a master of the art of stage magic. Jeff's extensive knowledge of magical techniques and theatrical stagecraft is unsurpassed. Enter the world of classic stage magic where you will learn the essential elements of professional performance from one of the world's foremost educators in the art of magic. Each of the magical effects on these volumes were selected because of their timeless appeal and strong audience impact. You will also learn valuable lessons in stagecraft and showmanship by studying these classics. Now you can learn the secets of stage magic by a modern master of the art. Includes Bonus Section: Live on Stage, Exciting Excerpts from Jeff's Full Evening Stage Show Spectacular! *This is the best 3 card trick ever...Printed In Bicycle Stock! This is a top seller in magic shops worldwide! No matter where you see the ace placed, it switches positions! You get the special cards printed on Bicycle Rider Backs and you get a full length DVD with several performances and additional methods to switch-out the cards, plus more! On the DVD, learn step by step from Rudy Hunter, Marty Grams and Rob Stiff. YOUR laces. Your Shoes. ULTRA-FAST 3 SEC RESET! Terry Herbert: Children's Magic the Herbert Way Performing children�s magic isn�t kid�s stuff! Doing a magic show for kids isn�t easy! However, in the right hands, it�s a highly rewarding and lucrative market with a bottomless client base that can potentially keep your booking calendar filled all year round. The problem comes when you wish to set yourself apart from others in your market who are all doing the same tricks with the same canned patter. Terry Herbert is one of the world�s best children�s entertainers and on this DVD, you�ll see why. Terry does his complete show in a real-world situation in front of one of the world�s toughest audiences�a group of children�and weaves a magical spell that keeps them all engaged, amazed, laughing and thoroughly entertained. Then, Terry takes you behind the scenes and shares much more than just how the tricks work�he discloses the real secrets of how to truly entertain children. The children obviously love Terry and his magic (and you will, too! )�and after the show, he�ll explain why. This is solid-gold information that can transform you from just another cookie-cutter kid show performer into a real children�s entertainer�and your show from a standard kid�s magic show into one your young audiences will never forget. Effects & Concepts: Wanderful Banana Trick Silver Sceptre Rabbit in the House A Present For My Mum The Shoelace That Broke Vanishing Wand Vanishing Silk Color-Changing Silk Mis-Made Flag Horace the Rabbit Magic Wishing Box Pop-Up Rabbit Production What Makes Children Laugh Why the Banana Trick is Funny Bits with Silver Sceptre Bits with A Present for My Mum Magic Shoelace Explanation Vanishing Wand Explanation Vanishing Silk Explanation Mis-Made Flag Explanation Breaking Up the Magic Wishing Box Explanation Pop-Up Rabbit Production. Some of the world's best Buskers are filmed live on the streets for this action packed documentary. Mixing raw street performance and up-close interviews the film spotlights; Alakazam, Jeff Collins, The laming Butterflies, Gazzo, The Coadster, Silver Elvis, Taxi Trix Chalkmaster Dave, The Silly People, Michael O'Niel, The Jim Show, Master Lee, Bernadette et Rita, DynaMike, Stitch, Trulee Odd, Aytahn, The Cowguys, Jeff Hill, Aidan Orange, Daisy and Derrick, and the Fire Guy. Witness, first hand, the secrets of successful Buskers on the world stage and hone your skills. the middle of the folded bill on top. The spectator holds on to the ends of a folded bill, with the other bill cradled inside. The magician pulls the bill through the spectator�s bill, just inches in front of their eyes. 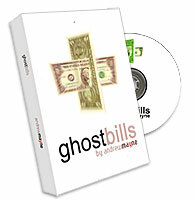 ghostbills is a stunning effect that will leave your audience floored. It�s perfect for close-up, tableside and parlor performances. This 24 minute DVD shows you step-by-step how to perform the effect. You�ll quickly have the effect mastered and soon be stunning your own audiences. BIG COIN LITTLE PURSE � This is the coin routine that earned Garrett Thomas a reputation among his peers. The routine begins with Garrett�s fabulous handling of the neo-classic Hanging Coins (complete with a shocking ending!) and continues with his own Coin Purse routine. This is a visually stunning illusion where coins shrink, grow and pass into and out of a purse that is obviously too small for them to fit in. It all looks like trick photography . . . but it isn�t! BLANK DECK � Garrett�s no-gimmick version of the classic Nudist Deck. The cards are handed out at the end of the effect yet the spectators will swear that they were all blank just seconds earlier. 14 CENTS � A coin effect, yet it packs the punch of a sponge ball routine because it all happens in the spectator�s hands. This is the strongest coin effect that Garrett does for laypeople . . . and you can learn all of the details here for the first time. 3 BALL � An amazing prediction followed by an amazing production of a solid billiard ball. This simple yet powerful effect is guaranteed to elicit screams from even the most jaded audience. APPLES TO ORANGES � Visual magic at its best as an orange changes into an apple! Garrett also shares a bizarre transposition of the apple and orange that�s perfect for close-up or parlor work. HOUDINI CARD TRICK � Garrett�s version of the Ambitious Card, the effect that was said to once fool Houdini. It�s a strange and powerful version of a card magic classic, complete with a surprise kicker ending. BONUS: Performances only of Garrett Thomas� RUBIK�S CUBE and THE RING THING. CHINESE SURPRISE � Garrett has taken Fred Kaps� classic coin routine and added a surprise ending that will hit any audience hard. After several visual transpositions of a silver and copper coin, the audience will swear that more than two coins are in use. This is confirmed as the performer�s hands are opened and four Chinese coins . . . and nothing else . . . are shown! IMAGINATION COINS � A new twist in the Coins Across plot as coins travel from the spectator�s hands to the performer�s hands! Then, the coins visually fly between the performer�s hands before finally vanishing and ending up back in the spectator�s hand. Also included are Garrett�s touches on Robert Bengal�s famous move for the final coin. ABSTRACT MATH � A lesson in abstract math and thinking as three copper coins very cleanly change into a silver coin, a silver ring . . . and a silver Sharpie-brand marker! COLOR MONTE � Garrett�s take on the Emerson and West classic using regular cards, a great presentation, and a very clean and easy handling. This is an effect you�ll carry with you and perform everywhere. THOUGHT � Design duplication the Garrett Thomas way! Garrett shares all of the touches on how to make a spectator swear that they actually see you reading their mind! ANNIVERSARY WALTZ � Garrett�s version of the trick made famous by Doc Eason. Garrett has analyzed the dynamics of performing this routine for a couple and has structured his version of this now-classic routine to maximize these dynamics. And at the end? The spectators are left with a souvenir . . . and an experience . . . that they�ll cherish forever! BRASS BLOCK � This one�s worth the price of the entire DVD set! It�s a Card to Matchbox routine with a stunning climax that will blow your spectators away. In fact, this is the one trick the studio audience kept talking about long after the shoot was over. LOOK A CARD � Garrett�s multi-phase version of the legendary Think of a Card plot. Garrett delves into all of the dynamics and outs in great detail. BALL IN BAG � This isn�t your grandfather�s Egg Bag! A heavy steel ball inexplicably appears inside a small black bag . . . and vanishes again just as mysteriously. PEN THRU QUARTER (LASER) � Garrett�s ultra-clean handling of the Pen Through Borrowed Quarter using a Marco Tempest idea that dramatically strengthens the routine. COMBINATION LOCK � A strong and practical mental routine using an ordinary combination padlock where the spectators divine the correct combination. SHARPIE SHRINK � A Sharpie-brand marker visibly shrinks in size in a startling manner and is immediately handed to the spectators. If you like the Mini-Sharpies, you�ll love Garrett�s routine with them. WE ACTUALLY HAVE 100'S OF DVDS FROM STOCK! WE MAY ALREADY HAVE THE ONES YOU ARE LOOKING FOR. WE WILL ENDEAVOUR OF COURSE TO GET THEM ALL LISTED ON THIS SITE, WHICH WILL TAKE A WHILE! IN THE MEANTIME, IF THERE ARE ANY TITLES THAT YOU ARE SPECIFICALLY LOOKING FOR, PLEASE CONTACT US TO SEE IF WE ALREADY HAVE THEM, THANKYOU. THE "I HATE DAVID COPPERFIELD" TRICK - Based on "Close-Up Illusion" by Larry Jennings, a card VISIBLY MELTS through another. The visuals here go WAY BEYOND the original. THE OMEGA BET - Based on the Karl Fulves effect, Bob Wagner has turned this into a KILLER piece of entertainment, a 5-phase whirlwind of fun for everyone in the room! A random spectator decides the final, and most impossible, bet of all. The routine uses my false overhand shuffle (which is quite easy but appears totally fair). MORE ON "OIL & WATER" - Sam Schwartz's wondrous 3-phase, 8-card O & W routine with NO SLEIGHTS! NONE! Thanks to Sam for allowing me to include this gem with minor handling changes. JUST A BIT MORE ULTIMATE THAN JOHN MENDOZA'S "ULTIMATE TORN & RESTORED CARD" - The name says it all. In an e-mail to me, Mr. Mendoza (a close-up DEITY) said he thinks more of this method (of his trick which appeared in "The Book of John") than any of the "piece-by-piece" restorations out there. You're clean at the first and clean at the end. As a bonus, it's SUPER EASY to do even though the card is SIGNED ON BOTH SIDES! INVISIBLE DECK FINESSE - Makes using an Invisible Deck more fun than ever (and the reset is DURING the routine). FORKLIFT - Move silverware with your mind! 4-WAY COINCIDENCE - A reworking of a stunning prediction routine by John Murray from "Card Cavalcade 3" by Jerry Mentzer (included with Jerry's permission). Use a borrowed, thoroughly-shuffled deck. There's only one real "move" (which is laughably simple). On this DVD you will learn an improved method and performance of an old soda can trick. Imagine showing a spectator an opened empty soda can, you add a little "Crushed & Cured" magic, and make it completely restore and reseal! And to prove it, you pop the cap open and pour yourself a drink! The "Crushed & Cured" master, Aron P, aka "The Golden Child" will show you the performance and secrets, step by step, move by move. As seen performed by David Blaine! This is a professionally shot Dvd of some of the best selling effects from Mike Danata's Magic Studio in Bournemouth. Many are exclusive to us & are not currently available anywhere else!! All filmed INSIDE the Magic Studio! The Best Tricks In Magic Are On This DVD! Learn How To Perform The Self-Levitation Illusion. Experience the video where you can make the magic happen...Rob Stiff will share with you the best of the best in magic tricks. Start by learning a card trick that leaves their jaws dropping. Then, see how easy it is to make a coin vanish right out of your hand and reappear! From cards, coins, rubber bands and ropes to tricks with ordinary books, you will get it all! This is a rare VCD playable on all DVD player worldwide. Enjoy the evening of magic with this 2 disc set starring Lawarence Khong, Eugene Burger, Master of Masks & Magic Jeff McBride , Priscilla Khong and Abbi Spinner. Singapore's very own International Festival of Magic (IF Magic) showcased a star-studded cast of world class magicians presenting spectacular stage shows and the best close-up magic. Capturing the best memories of this spell binding event, this video CD features footages from "Magic of Love", a magic blending not only magic illusions but lovely music and drama performed by top class magician Lawrence and his daughter Priscilla. You will also be thrilled and entertained by the various magic segments from top winners of the Asian Pro Magic Challenge. Finally, Master Magicians from Las Vegas, Jeff McBride, Abbi Spinner and Eugene Burger will dazzle you in "Magic ? The Secret Art& quot;.It is a breathtaking show exploring the real secrets behind the art of illusions with artful sleight-of-hand manipulations and clever illusions. Secrets to tricks like these on Larry Anderson's Jaw Droppers JawDroppers� Video Collection are often sold for more than �10 per trick in magic stores - and usually with a sheet of poorly-written instructions and confusing illustrations. The JawDroppers� videos show each trick performed by Larry, followed by a detailed explanation of how you can do them with very little practice. These come VERY HIGHLY RECOMENDED! Great for the beginner & the more advanced!! Many tricks fooled me, & I've been into magic all my life! The very best of David Copperfield! This VCD is able to be watched on most DVD players.